You know what we love? Any excuse to get festive during the holiday season! 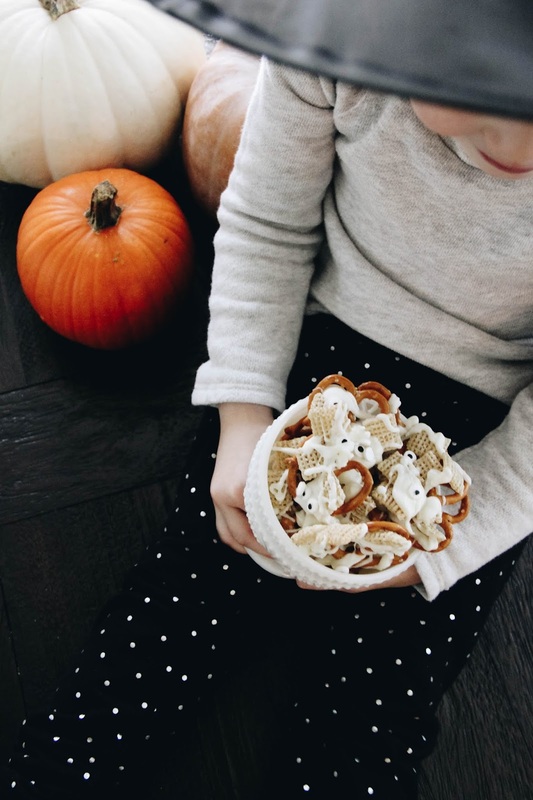 There's so much joy turning something simple into something a little extra special, especially this time of year. It just takes a bit of imagination and some creativity. With a toddler (can I still call her that??!) who is soaking in the holidays, I am delighting in spreading the cheer with her. 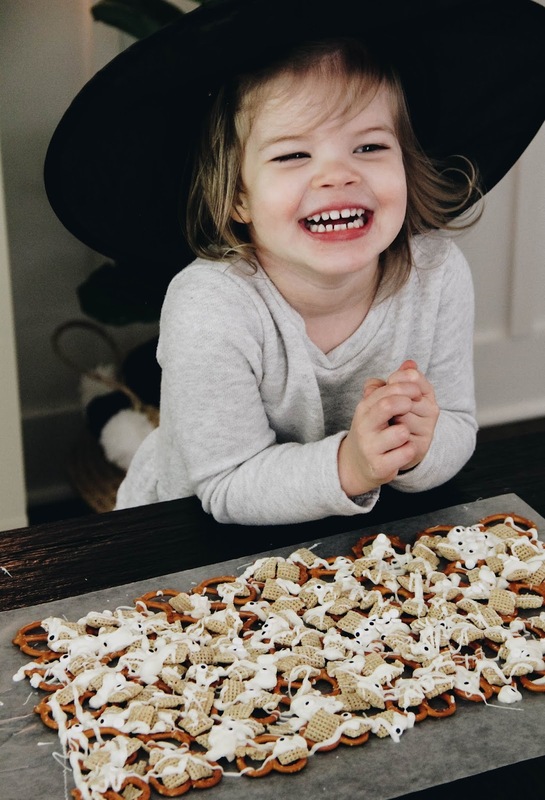 She is living for all of the holiday goodness, and it makes my mama heart swell. Finding themed activities for her to participate in is wayyyy too much fun. Can't stop. Won't stop. So if you have littles or a festive spirit, this recipe has your name on it! 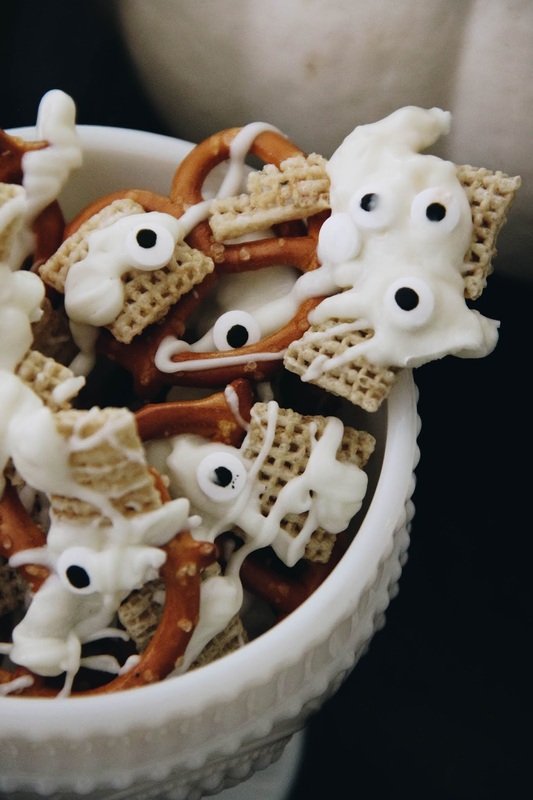 Because a batch of our Googly-Eyes Halloween Bark is perfect for movie night, festive munching, or to "boo" your neighbors with! 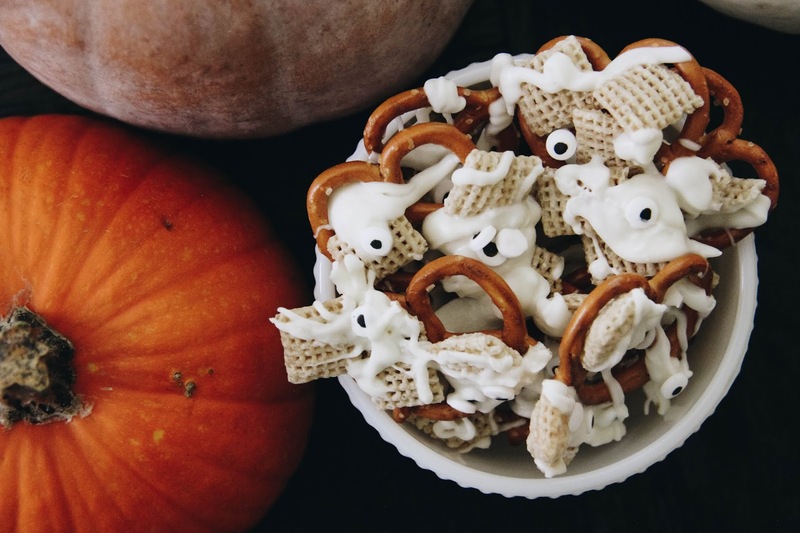 Start by laying out rows of pretzels on wax paper. 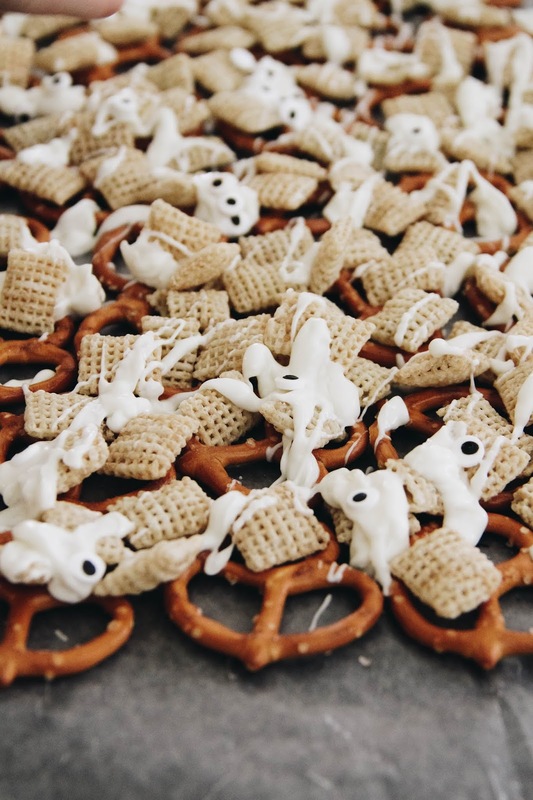 Next sprinkle the Chex out evenly over top of the pretzels. 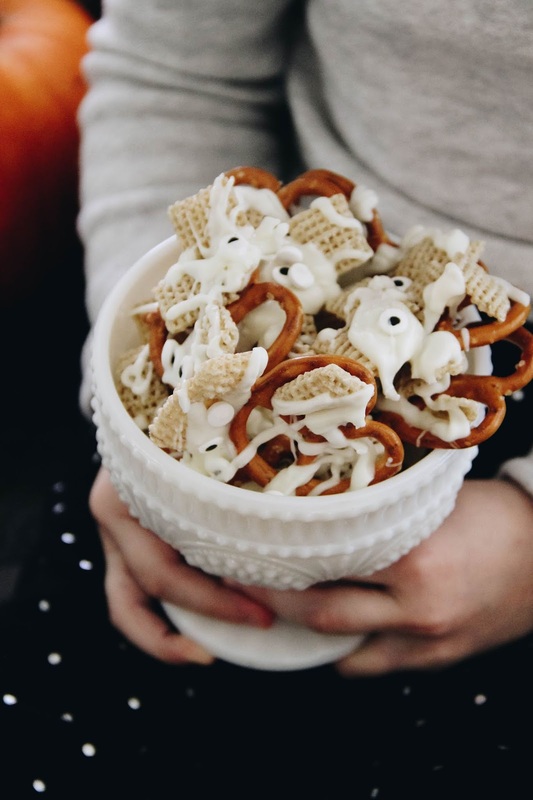 Melt the almond bark in the microwave in 30 second increments (stir in between) and drizzle over the pretzels + Chex. Place the candy eyeballs in the melted almond bark. Be careful placing them if the almond bark is hot from being heated. Let cool and harden for about 30 minutes before breaking apart into chunks and enjoying! **Add extra toppings to your bark before drizzling the almond bark if you like: popcorn, nuts, other candies. Since we have a toddler and don't let her eat popcorn just yet, we opted not to add it this year. Our recipe idea came from here!